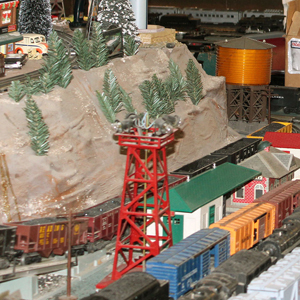 The Medina Model Train and Toy Show, established in 1992, has enthralled children and grownups, short and tall, young and old for decades. Just 45 minutes from Akron or Cleveland , thousands of enthusiasts have traveled to Medina for nostalgic, profitable, and entertainment purposes. Perfect opportunity to get a jump on your Christmas shopping! Trains and planes and things that GO are on display 4 times a year at the Medina County Community Center, 735 Lafayette Road, Medina, Ohio 44256. In the spring you can visit us in February & April. In the fall you can begin your holidays with us in October and at our December, Christmas Extravaganza.